Owning the Inn on Crescent Lake is the culmination of a dream that began in France. Patrick and Beverly Delugeau sought to leave behind the stresses of the corporate world and create a special place in the United States where people could rejuvenate themselves physically, mentally, romantically, and spiritually. Patrick was born in the Loire Valley, where castles and vineyards adorn the countryside, while Beverly was born in Norfolk, VA but spent her formative years in Brittany, France. A four-year search took them to seven different states as they inspected more than 30 properties. Just as they began to wonder if they would ever find the property that fulfilled their dreams, they discovered the inn, and the Delugeaus moved to Excelsior Springs from France’s Normandy region in 2009 to bring their vision to life. Less than a year after completing their move to America, the dream took a tragic turn when Patrick passed away of a heart attack. After taking time to allow her heart to heal, Beverly found a new love and married Craig Bohnert on February 26, 2012. Born and raised in southern Indiana, Craig has enjoyed a successful career in sports communications, including numerous opportunities to work with the United States Olympic Team. 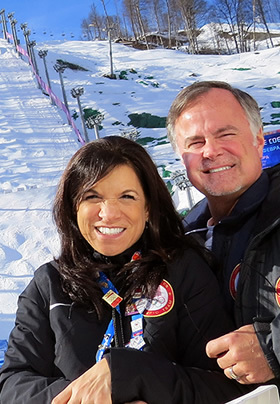 In February 2014, Craig and Beverly were part of the media services staff for Team USA at the PyeongChang 2018 Olympic Winter Games. It was Craig’s 10th Olympic Games assisting the U.S. Olympic Committee. They are making plans to travel to Japan in the summer of 2020 to help at the Tokyo 2020 Olympic Games. 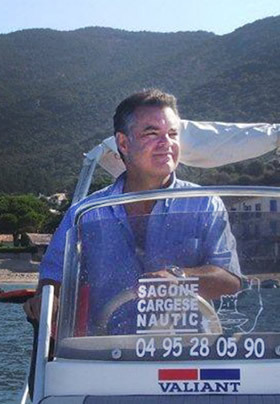 Craig, Beverly, and the devoted staff of the inn find joy in keeping Patrick’s dream alive and honoring his memory by creating the most enjoyable experience for each of our guests. We welcome you to our home and wish you a heartfelt BIENVENUE!!! At the Inn on Crescent Lake, we want to offer our guests a place where they can get away, a romantic vacation spot where they can rest, relax, and renew the romance in their lives!